Scotland head coach Gregor Townsend has dropped winger Blair Kinghorn on the bench for the upcoming Six Nations clash against Ireland at Murrayfield Stadium despite his hat-trick performance against Italy in the opening game. Kinghorn, who was named player of the week after the opening round has joined the replacements after Sean Maitland has returned from his injury and is one among the four changes made. As Jonny Gray gets fit, he is drafted at lock pushing in-form Ben Toolis to the bench while injured Willem Nel (calf) has been replaced by Simon Berghan. As Sam Skinner is unavailable with an ankle injury, Ryan Wilson moves to number six making way for Josh Strauss at number eight slot. "We picked up two injuries from last week with WP (Nel) and Sam (Skinner) missing out, which is disappointing for us and them, but have had a boost with a number of proven Test players returning from injury and available to us this week," Townsend said. 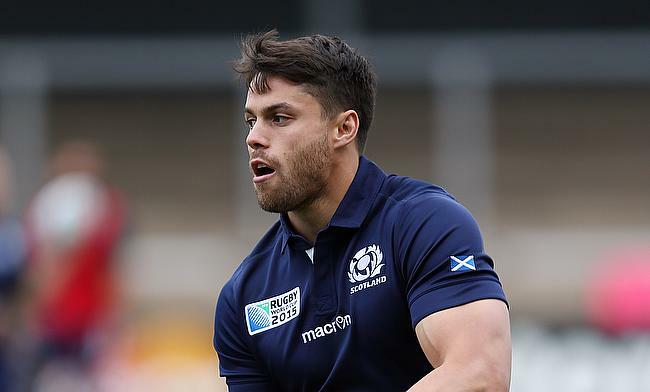 Fraser Brown and Pete Horne have also recovered from their injuries as they are named on the bench while D'arcy Rae will make his Scotland debut after being among the replacements.